Late in 2016 Senegal’s Banque Regionale De Marches announced the launch of the eCFA Franc ; a cryptocurrency for the countries of the West African Monetary Union – Senegal, Cote d’Ivoire, Benin, Burkina Faso, Mali, Niger, Togo and Guinea-Bissau. This and similar innovations mark the coming of age of a new generation of applications – an Internet of Intelligent Things – that could provide a new infrastructure for economic development across Africa. 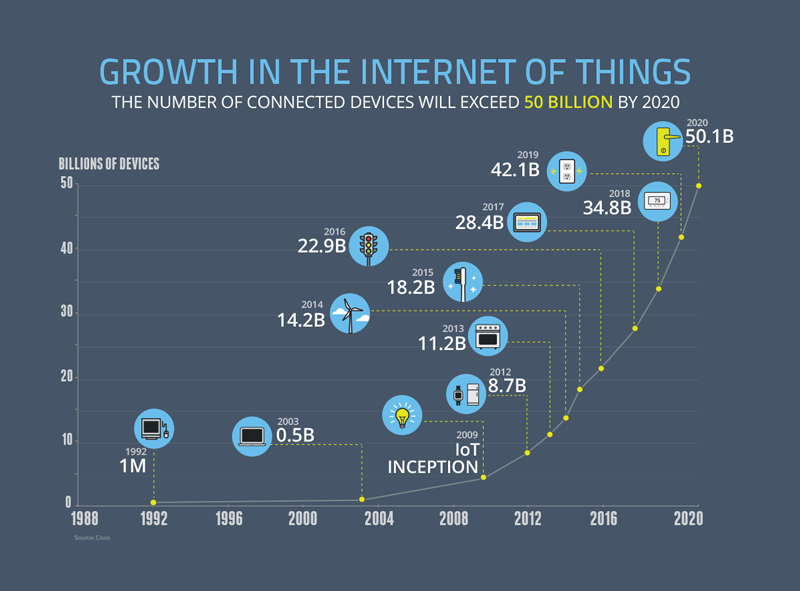 The Internet of Things is a network of physical devices, vehicles, buildings and other items. They are equipped with electronics, software, sensors and network connectivity so they can collect and exchange data. There’s wide enthusiasm about spectacular innovations such as Intelligent refrigerators and driverless cars . But a quieter revolution is underway in everyday systems and facilities, such as financial services . There are particular possibilities here for Africa. The potential for the continent’s economic growth is well established . There’s also an abundance of opportunity for digital innovation. This was clear from a recent continent wide entrepreneurship competition organised by the University of Cape Town’s Graduate School of Business. The blockchain, mostly known as the technology that underpins digital currency Bitcoin , is an almost incorruptible digital ledger of transactions, agreements and contracts that is distributed across thousands of computers, worldwide. The owner of the asset can, through an Ethereum-based smart contract, secure a loan to expand a start-up enterprise. Intermediary arrangements become unnecessary. Economist Hernando de Soto has suggested this could create “ a revolution in property rights ”. Economic growth also depends on affordable and reliable services like water and energy. Water is an increasingly scarce resource in many parts of Africa. This is particularly true in cities . Rapid population increases are making old precepts of urban planning redundant. Similarly, for the supply of energy, smart devices are already being deployed across conventional and ageing power grids in other parts of the world. In Australia , for instance, intelligent monitors detect when an individual pole is in trouble. They then report the fault and call out a repair crew. They can also communicate with other poles to redirect the supply and preserve the grid’s integrity. In parallel with conventional supply systems, new digital technologies can enable full integration with renewable sources of energy and the intelligent management of supply at the household level. The new blockchain is designed for secure peer-to-peer transactions combined with incorruptible contracts between multiple parties. Individual households can manage their own supply and demand to incorporate self-generated energy. A house equipped with a simple windmill and a roof made up of photovoltaic tiles could sell surplus power to a neighbour in need. They could also buy from another house to meet a shortfall. Such microgrids are already in development . The combination of ubiquitous and affordable bandwidth and low cost autonomous agents could bring affordable energy to communities that have never enjoyed reliable electricity supply. This is why the West African Monetary Union’s cryptocurrency initiative is encouraging. It’s a step towards the future that Don and Alex Tapscott envision ; a move towards an Internet that’s driven by the falling costs of bargaining, policing, and enforcing social and commercial agreements.